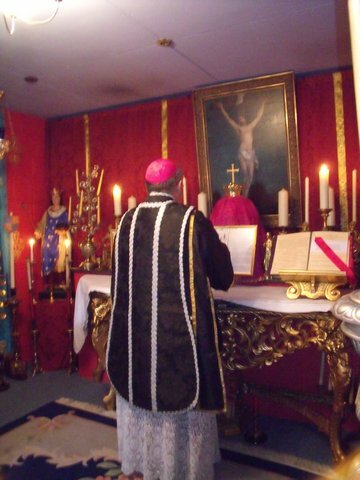 A Solemn Pontifical Requiem for Dom Klaus Schlapps, OPR, OA, Duke of Saih Nasra, took place at the Episcopal Chapel of the Old Roman Catholic Church at Gosberton. The eulogy was delivered by the Prince-Abbot and the celebrant was Archbishop Douglas Titus Lewins, Marquis of Tejerri, assisted by Bishop Howard Weston-Smart, Duke of Gatrun. Prayers were offered for the Abbey of St Severin and for all who mourn Dom Klaus’s sudden and untimely passing.